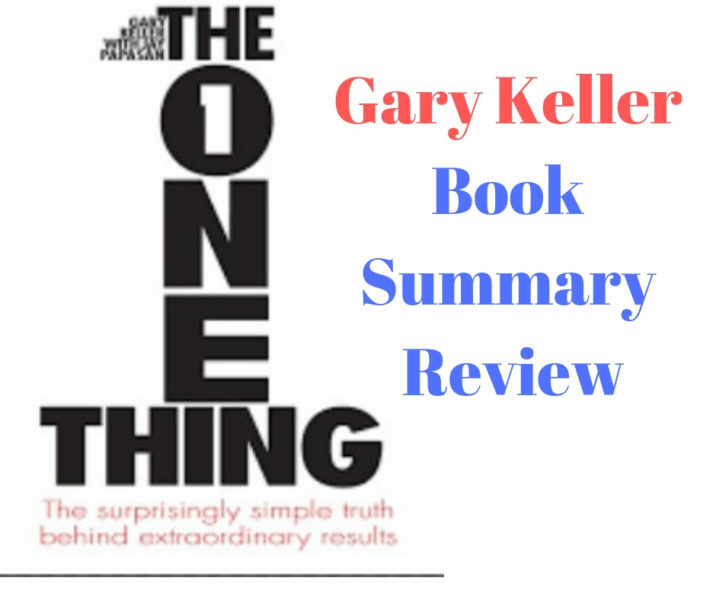 Gray Keller writes the book “The One Thing”. The theme of the book is to discover one thing. It means discovering hidden skill or ability. Every person has some hidden skill or ability. Most people are not aware of their hidden skills. The authors emphasize to discover these skills. Moreover, the author urges to devote lives according to these skills. It is essential to identify that one thing that can help people to do their work easily. People can learn various skills in their lives in schools and colleges. However, there is one such thing they find it easy to do as compared to other things. The author suggests people find that one thing to make their lives easy. Furthermore, the author suggests people devote their lives to achieving their targets and goals. Time plays a vital role in achieving goals and targets. It is the key to success. Therefore, time management helps people to achieve their goals. A person unable to manage time finds it hard to meet goals. Domino effect helps the business people to figure out the important aspects of their organizations. Every businessperson needs to identify one important thing in his business. Moreover, this one thing is the root of their business. They need to make it target for their business. The author gives the example of Bill Gates in this regard. Bill Gates is an American businessperson. He is one of the most successful people in the contemporary world. Bill Gates is the richest person on the planet. One of the important passion of Bill was computers in his school time. Furthermore, his passion helped him to learn computer programming. Therefore, Bill Gates started his company Microsoft after getting experience in a computer firm. The 80/20 principle is the key to success for every business. The essence of this rule is that minor effects result into major results. This principle states that twenty percent of customers result into eighty percent profit. Likewise, twenty percent investment turns into eighty percent returns. In the same manner, twenty percent habits turn for eighty percent success. However, it does not mean that the ratio remains the same. Moreover, there is no exact number for this rule. Nevertheless, the essence of this rule is that small changes make big differences. Disciplines and habits have a strong connection. These both are inter-related and disciplines turn into the habit over time. Moreover, both have the same meaning. However, these are connected powerfully with each other. Therefore, good habits help people to achieve their targets and goals. Prioritization is another key to success for businesses. Two P’s are important for every organization. These include profit and productivity. Most organizations are aware of these P’s. However, two other P’s are also present but most of the firms are unaware of the fact. Two additional P’s include Priority and Purpose. However, most organizations are not aware of the fact. It is significant to understand the importance of Priority and Purpose. Nevertheless, Profit and Results depend upon these. Therefore, it is essential to have a clear idea in mind. These P’s help to achieve productive results. Accountability is another significant chapter of the book. Every person is accountable for his action. Therefore, an accountable person can achieve targets more efficiently. On the other hand, a person who is not accountable cannot achieve goals with such perfection. Only two options are there for every business. These include an accountable or unaccountable person. Poor health habits can affect productivity. Mismanagement of personal energy can kill productivity. Various habits can play a vital role in this regard. The first thing in this regard is meditation. Moreover, meditation can help to improve spiritual energy. Likewise, physical energy is significant in this regard. Proper diet and exercise can help to achieve the best results. Similarly, emotional energy is also important. The best way to improve emotional energy is to spend time with friends and family. Furthermore, mental energy is essential to have the best results. The best source of mental energy is to set goals and targets according to the calendar. Moreover, business energy is always important. Time Block is one thing in this regard. It is important to take good care of time. Role of an environment is always significant. Environmental factors can limit productivity and output. Therefore, it is necessary to take good care of environmental factors in business. Optimism is key to success in every business. Pessimist people cannot succeed in life. It is important to have positivity in mind for every businessperson. Optimism can play a vital role in success. However, it is essential to show positive behavior towards business operations. Another key to success is having strong will power. Various factors are essential in this regard. Implementation of new behavior can help to improve will power. Likewise, it is necessary to take certain tests. Similarly, there is a need to have long and short-term targets and goals. Getting help from others is another good option. Most of the people are reluctant to get help from others. However, getting help from others is the best solution in various business operations. Furthermore, it improves the experience. Moreover, it helps people to diversify their business. Company of right people can help to insight positive things. People with high aims can help others in a better manner. Furthermore, it is essential to surround with good people to get the best results. Clear the clutter from your to-do list and focus only on the most important/most impactful items. Partner up or create systems to handle the rest.